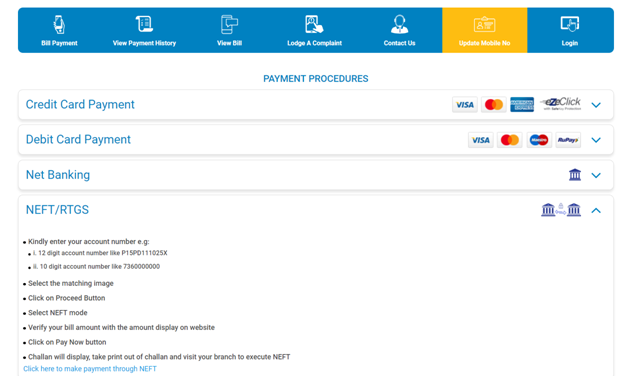 How to Make UHBVN Bill Payment through Netbanking? 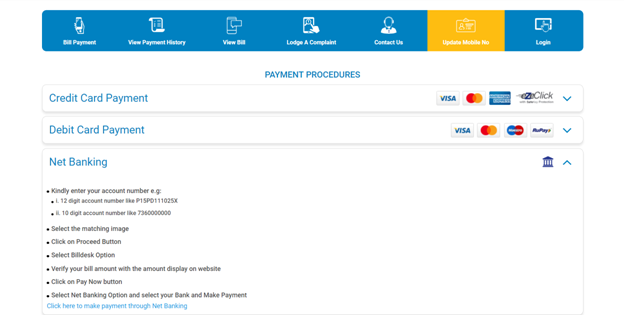 How to Make UHBVN Bill Payment through Netbanking? 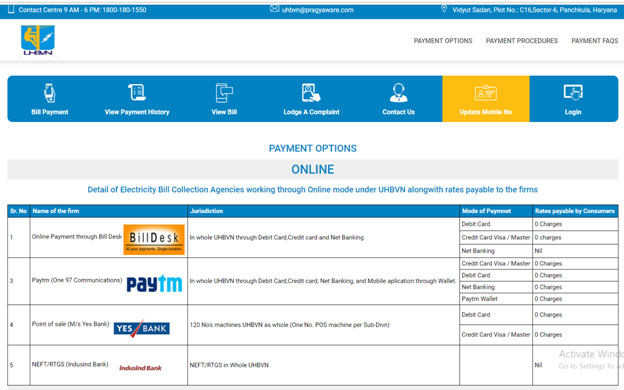 How to pay electricity bills online at UHBVN? How to register your account at UHBVN? How to Login into your account at UHBVN? What payment options are available at UHBVN? 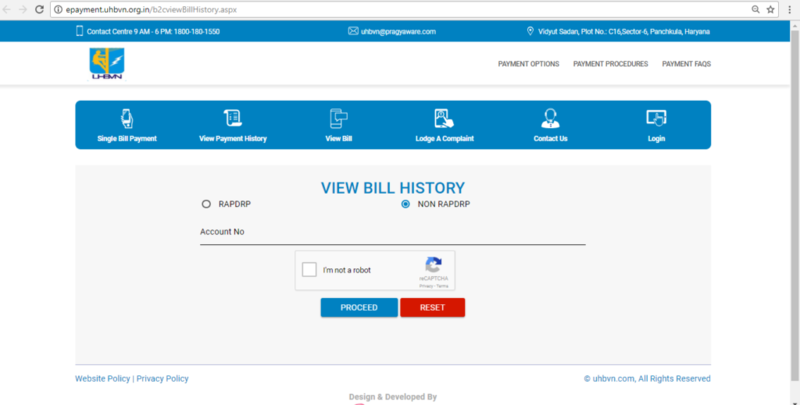 How to view Bill History and transactions? How to register UHBVN complaint online? How to apply for new connection? What is Uttar Haryana Bijli Vitran Nigam Limited (UHBVNL)? Uttar Haryana BijliVitran Nigam Limited (UHBVNL) is a Government of Haryana undertaking that performs the task of Power Distribution and Retail Supply Business in North Haryana. Registered under theCompanies Act 1956, it started operating from July, 1999. UHBVNL operates in these jurisdictions – Panchkula, Ambala, Kurukhsetra, Kaithal, Yamunanagar, Kaithal, Karnal, Rohtak, Sonepat and Jhajjar. UHBVN provides power distribution services to approximately 24 lacs consumers belonging to various categories such as Domestic, Non – Domestic, Agricultural and Industrial and other consumers. 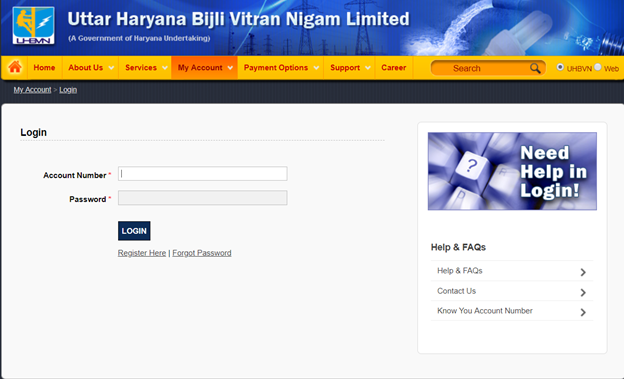 Uttar Haryana BijliVitran Nigam (UHBVN) provides the option of online bill payment. Users can make online bill payment through net banking i.e. by making credit/debit card payments. One can register on the UHBVN website and avail the online bill payment facility. E-payment facility saves a lot of time and efforts of consumers as they do not need to visit the cash collection centers anymore. Navigate to the website http://uhbvn.org.in/web/portal/pay-bill. You will see a drop – down menu “My Account”, click on it. Then click on ‘Register’. A two – step registration form will appear. Fill in your Account Number, SBM Bill number or Bill number and click on Submit. A page asking for other relevant details will appear, fill it up and you will be registered at UHBVN to avail their online services. If you want to view the UHBVN bill payment history, you can enter your account number and past payments made would be shown to you. Users who have complaints for UHBVN can enter the details and register a complaint. If you wish to track the complaints that are already registered, just enter the Account Number, Mobile Number, E – mail address, Reference ID. 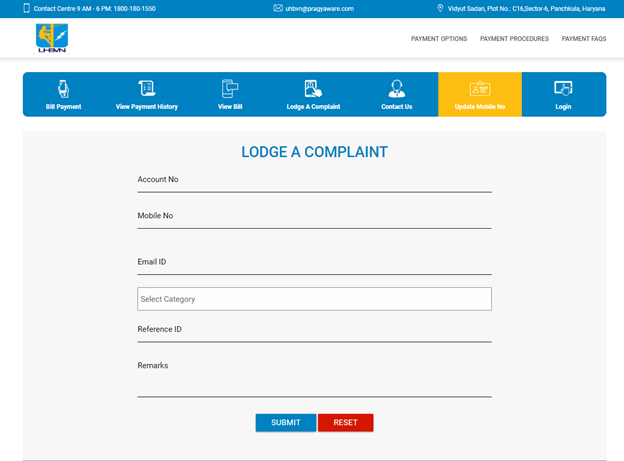 In the Remarks column, customers can lodge their complaints after which they will be issued a complaint number and would be able to get the latest updates. • If the user wants to apply for new connection at UHBVN, fill up the form shown below. 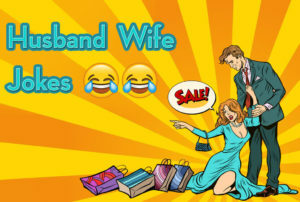 • Alternatively, one can also send email to newconnectionuhbvn@gmail.com if there is any problem with the old connection. 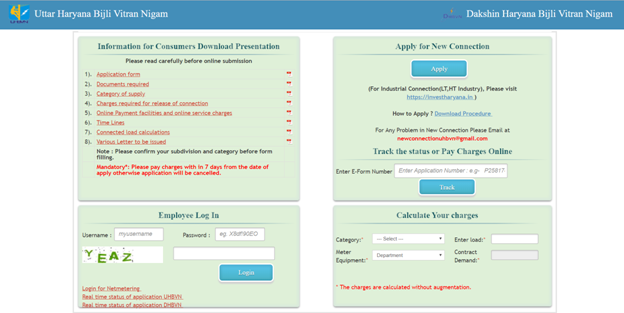 • Users can also click on this page http://uhbvn.org.in/web/portal/online-services and then by clicking on the ‘Apply Online Connections’, they will reach the page given below. So, what are you waiting for? Register or login to http://epayment.uhbvn.org.in/paymentprocess.aspx to get more details about payment procedures.